Like many of my readers, I could spend hours upon hours inside of William Sonoma. Something about the scents of the store that just really keeps me coming back as well as the amazing items they always have. 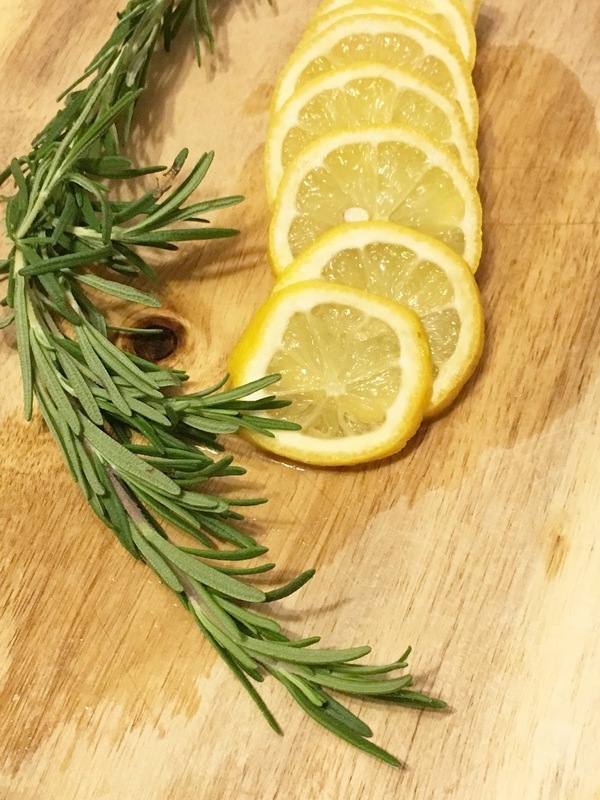 I google searched how to create their signature scent and I came up with several different recipes I created a recipe that just works for me and my family and the scent smells amazing. Especially with the holidays right around the corner. 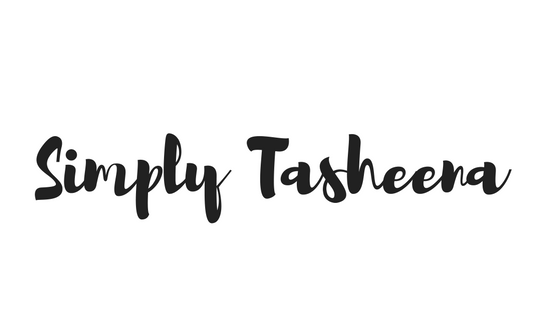 It's nice to have a scent that's not necessarily fruity but really relaxing and calming and what I love about this scent is that it's a very unisex scent which makes it perfect as a hostess gift or gifts that you may want to give to your colleagues. I would put the contents in a cellphone wrapper and add the vanilla in a little bottle. Make the packaging pretty and you have the perfect gift. 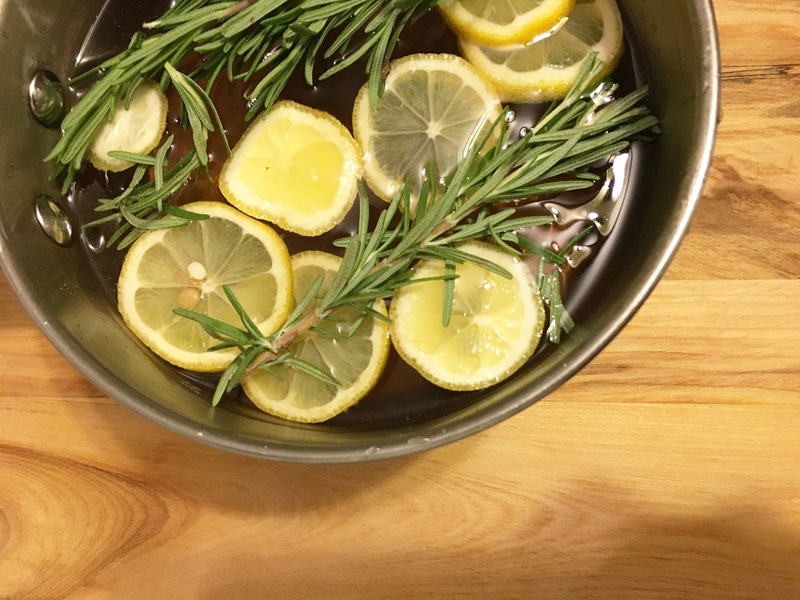 This is something that is super easy to make if you haven't tried out my holiday potpourri recipe that I made it a few years back definitely check out the recipe because I definitely love having options during the holiday both scents smell extremely amazing and is so nice and inviting coming home to. What I love about this recipe as well is that lasts for a couple of days which was perfect for me and my family I would leave the simmering pot out at night off and first thing in the morning turn it on and bring the pot to a boil and reduce the heat to simmer. As SOON as I saw this title it reminded me that needed to do this. I love how simple this recipe is. Thanks for posting this! 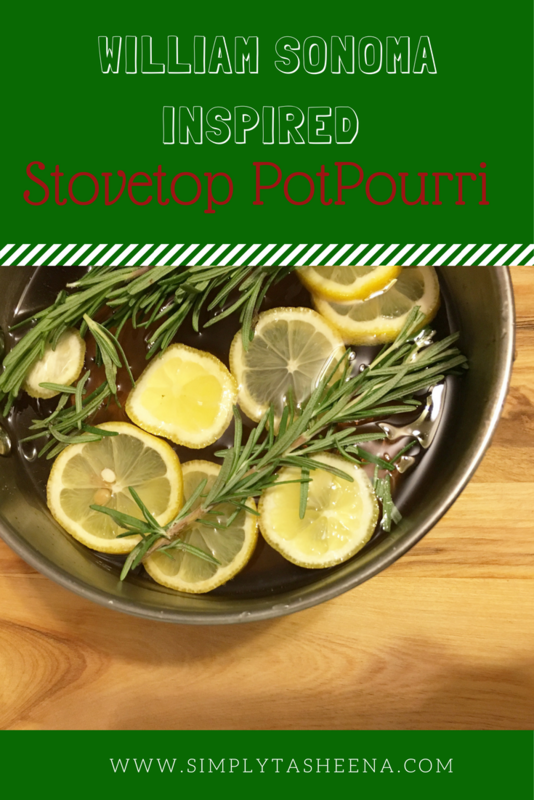 Yes, I really needed this simple potpurri, great that it has a blend of rosemary, vanilla and lemons. Really very simple recipe! This is brilliant! I love natural scents & ingredients - prefer them over synthetics any day. Excited to give this a try. Thanks!! Wow, such an easy recipe.i'm sure it's a treat to eyes and a refreshing decor to your place. Thanks for sharing this. Will try. Hmm, I think I'd love the fact that I made my own scent rather than purchasing a pre-made one. I bet your home smells amazing! I'd love to try that! 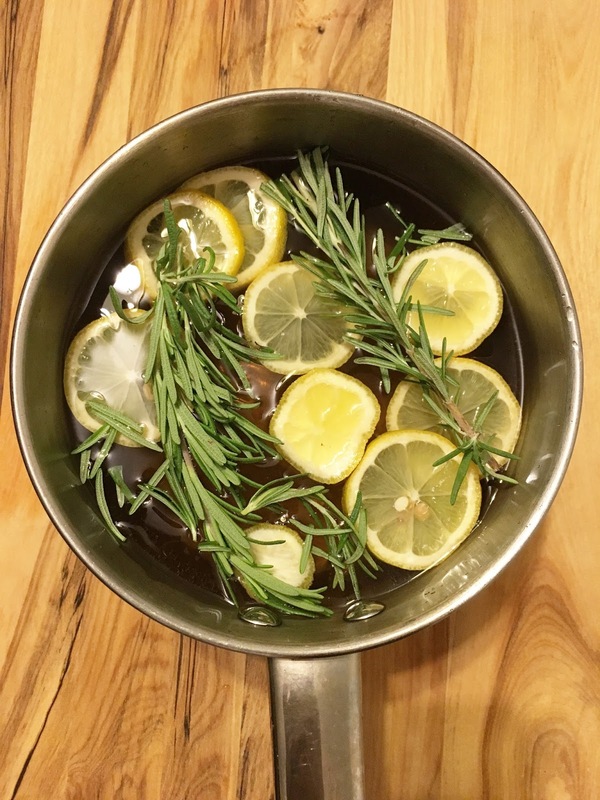 Very simple and easy and no dangerous chemicals to worry about as well! It's a win win diy! We'll have to try that next week on our day off! I have never thought to make my own on the stove top like this. Great idea and I bet it smells amazing.